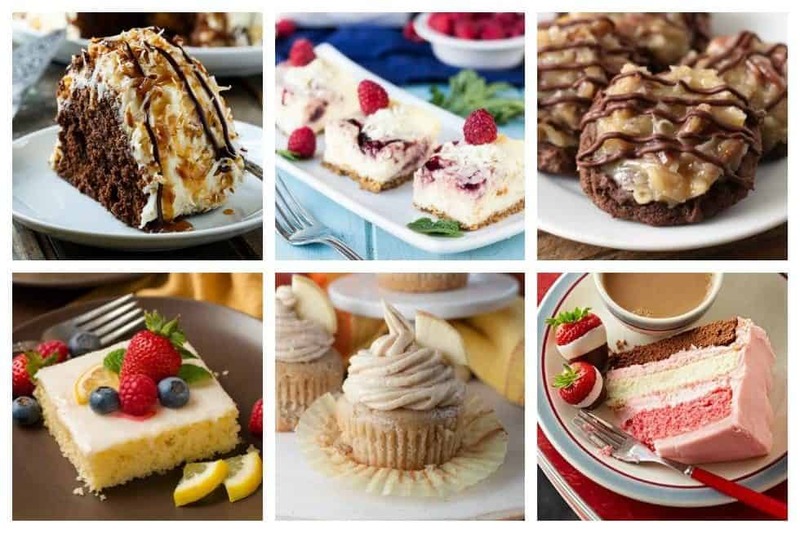 Every special event deserves good food with a sweet ending. 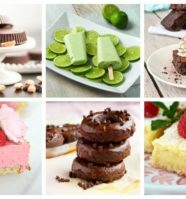 Since there are varieties of celebrations occurring throughout the year, having a handful of go-to recipes you can count on is always helpful. 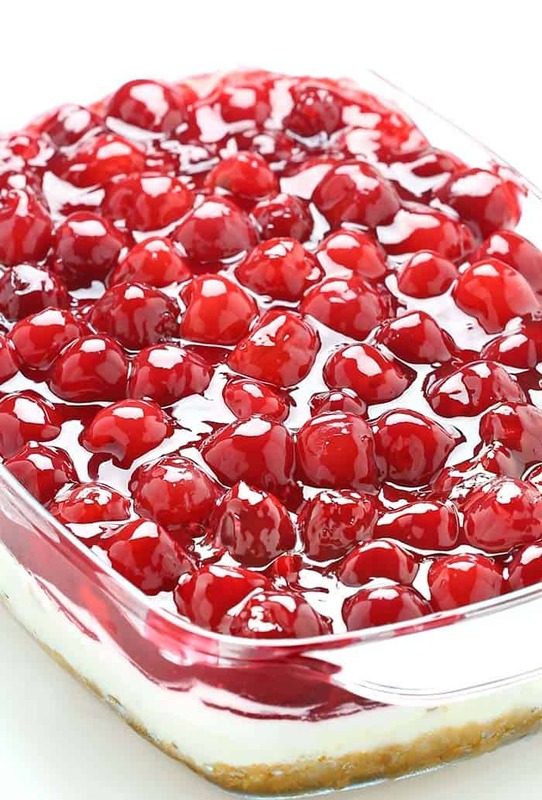 Now, there’s really nothing worse than collecting your dishes at the end of an event only to see that the no one has eaten your dessert. Seriously, it’s the worst – especially since it took you hours to prepare. 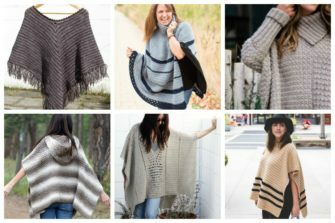 It’s time to put a stop to this from ever happening again. 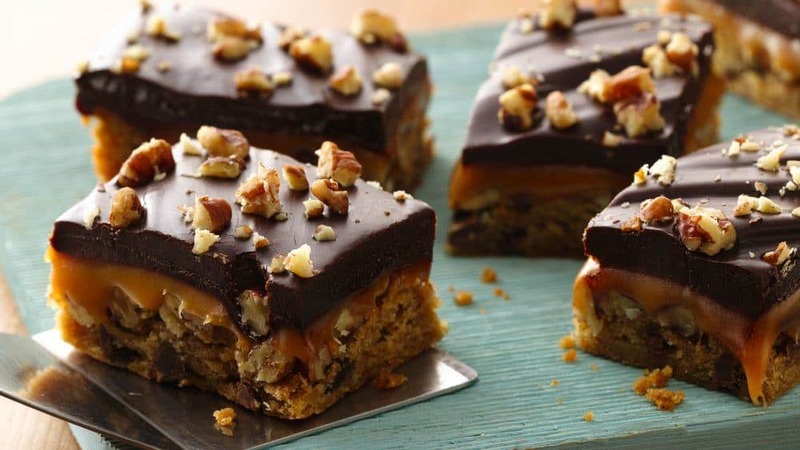 We’ve got you covered with our list of 20 of the best easy desserts. 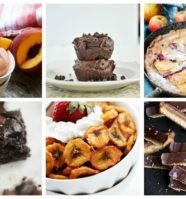 Be prepared for empty dishes and a round of applause when you bring one of these recipes to your next event. 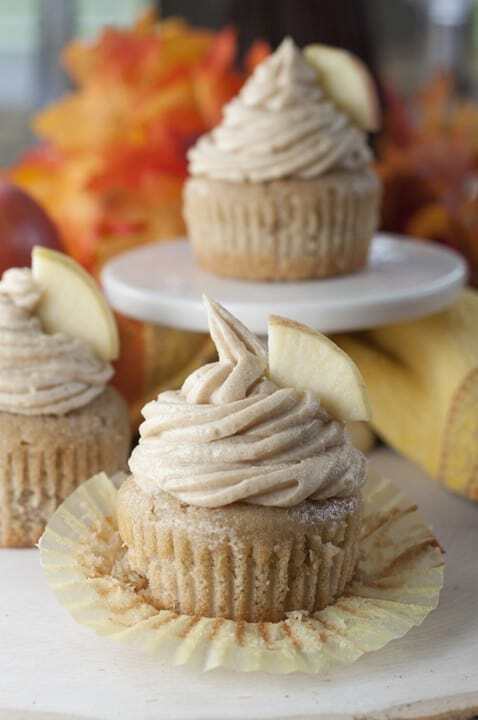 Here’s a moist and flavorful recipe for Apple Cider Cupcakes made from scratch with Brown Sugar Cinnamon Buttercream Frosting makes for a mouthwatering dessert! 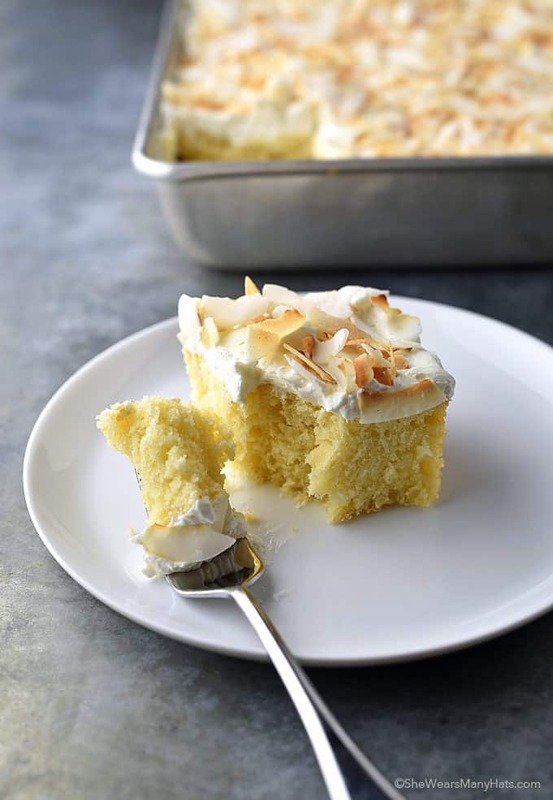 This Perfect Coconut Sheet Cake Recipe creates a light fluffy coconutty cake, paired with an equally fluffy coconut buttercream and topped with toasted coconut for a coconut cake that is out of this world and oh so easy to make! Strawberry lemonade is such a quintessential summer drink and bars that taste like strawberry lemonade are even better than drinking it. 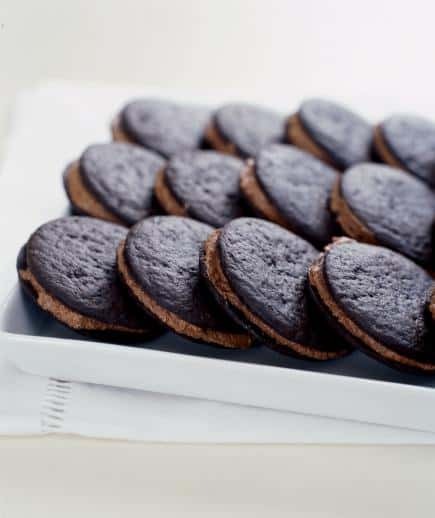 Sandwich airy chocolate whipped cream between store-bought chocolate wafer cookies for a double dose of chocolate. 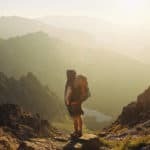 It takes just 15 minutes to make 30. 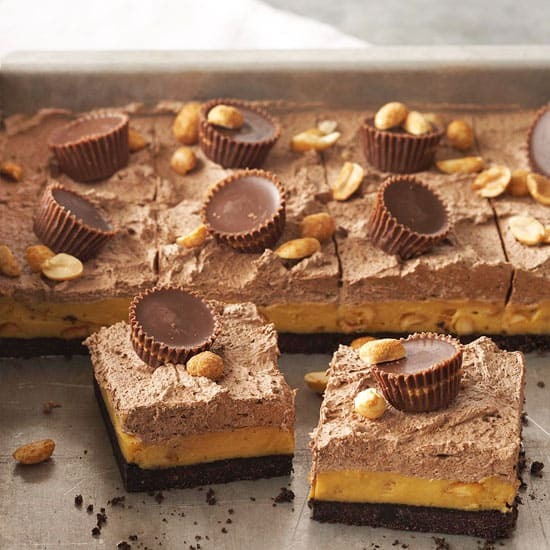 The layers of this peanut-butter-and-chocolate pairing create a beautiful dessert. 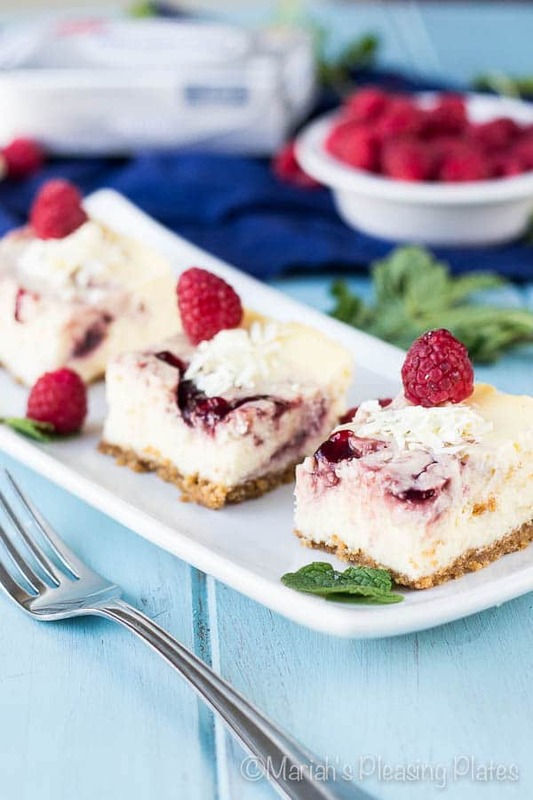 The combination of flavors will make guests swoon. 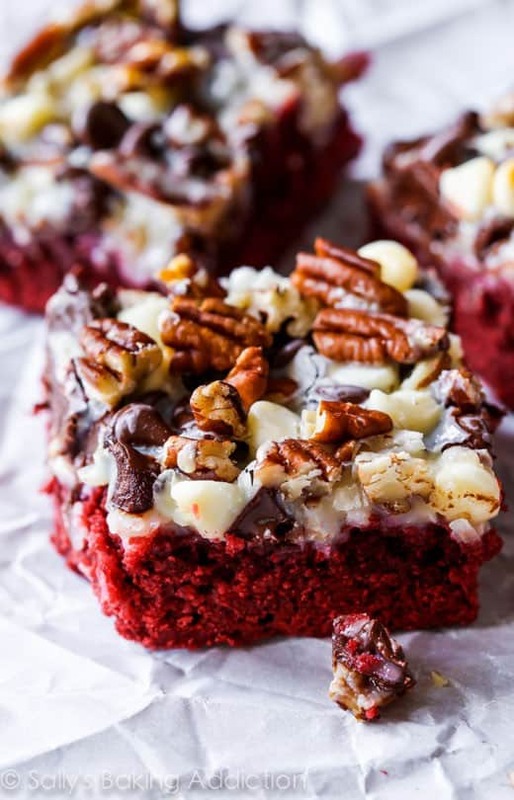 There are 7 layers to love in these chewy, gooey, sweet red velvet bars. 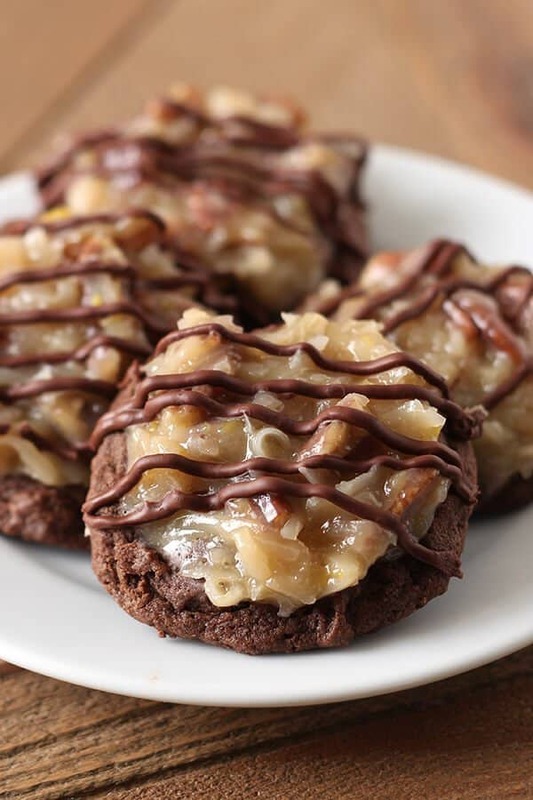 Pillsbury Gluten Free refrigerated chocolate chip cookie dough joins with the classic turtle trio of chocolate, caramel, and nuts for a decadent treat. 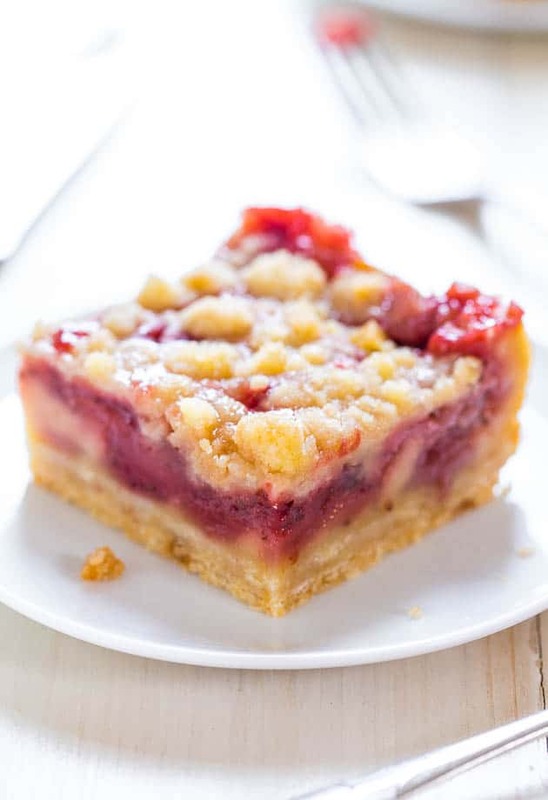 Here you have the ultimate spring and summer sheet cake! 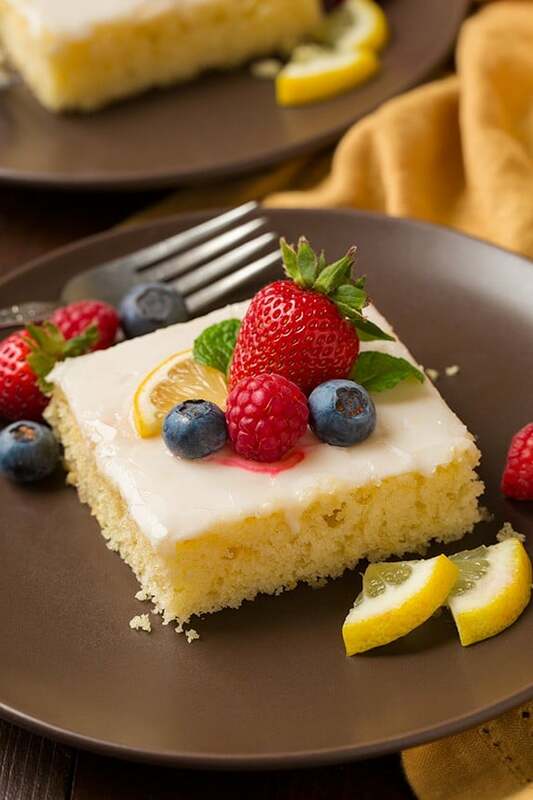 It’s so bright and lemony, it’s soft and fluffy and each bite melts away in your mouth! 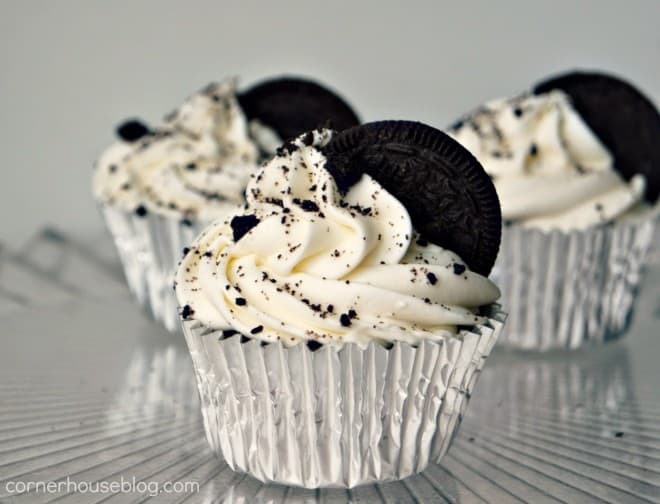 Let’s introduce you to the very best Oreo cupcakes. 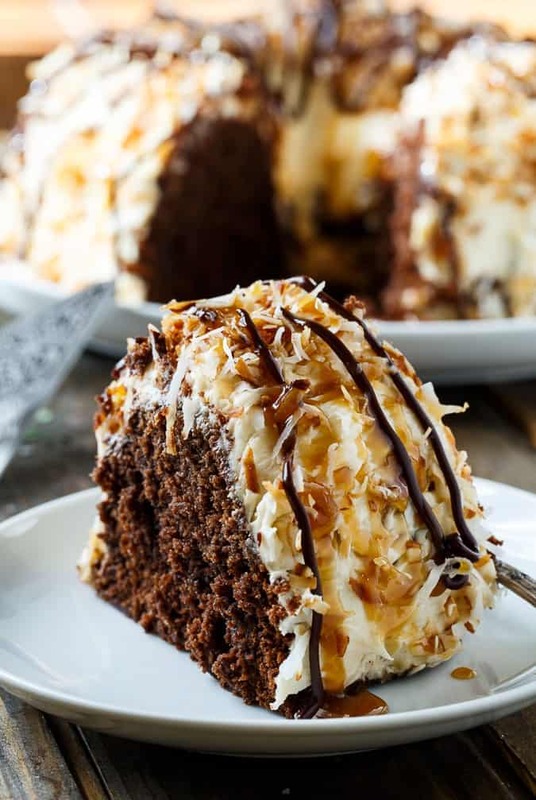 Creamy, chocolatey and so delicious. 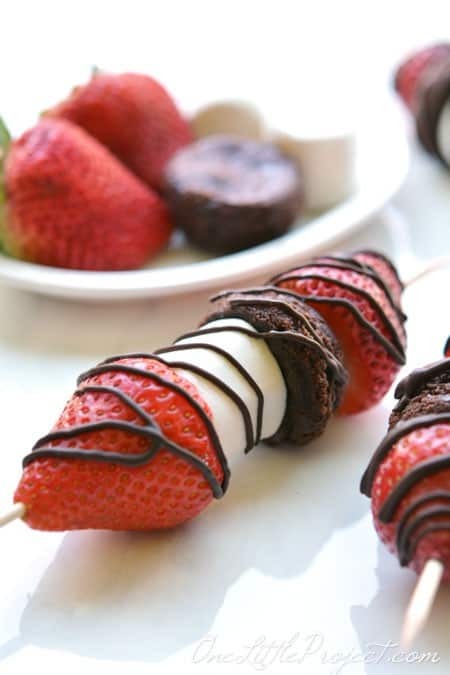 These strawberry brownie skewers couldn’t be any easier! Seriously. 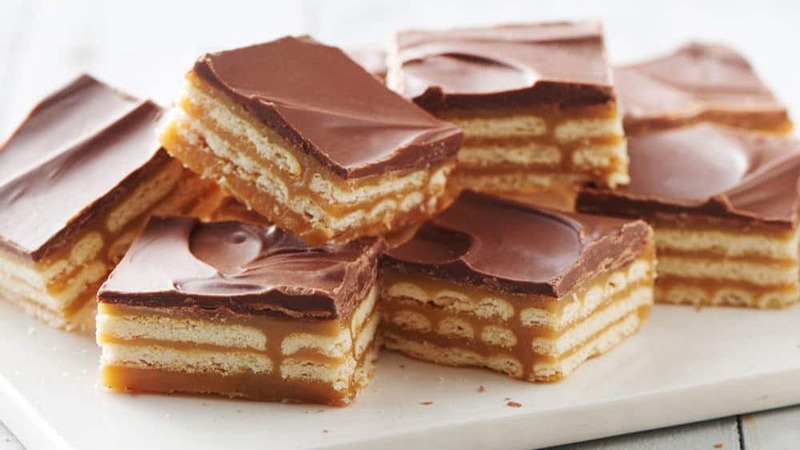 Drizzle them with melted chocolate and magically they become classy enough to serve at any event! 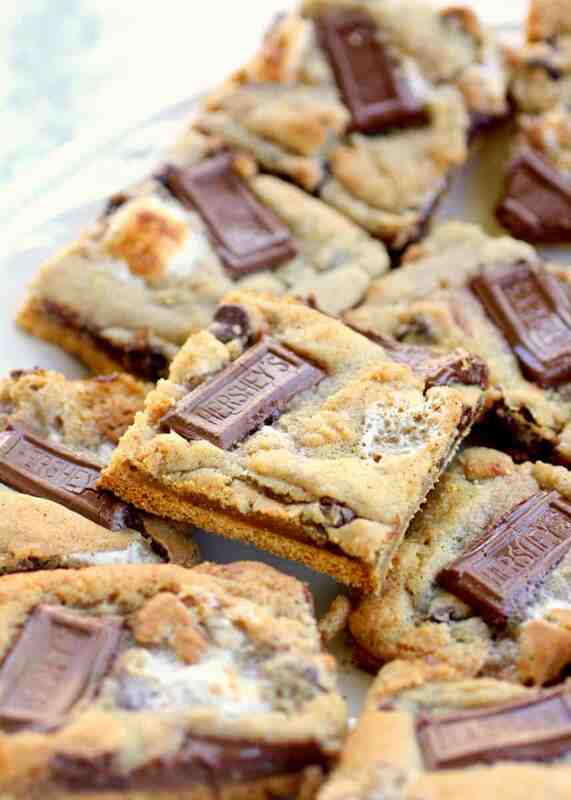 These S’mores Cookies are graham crackers dolloped with chocolate chip marshmallow cookie dough and topped with Hershey squares. 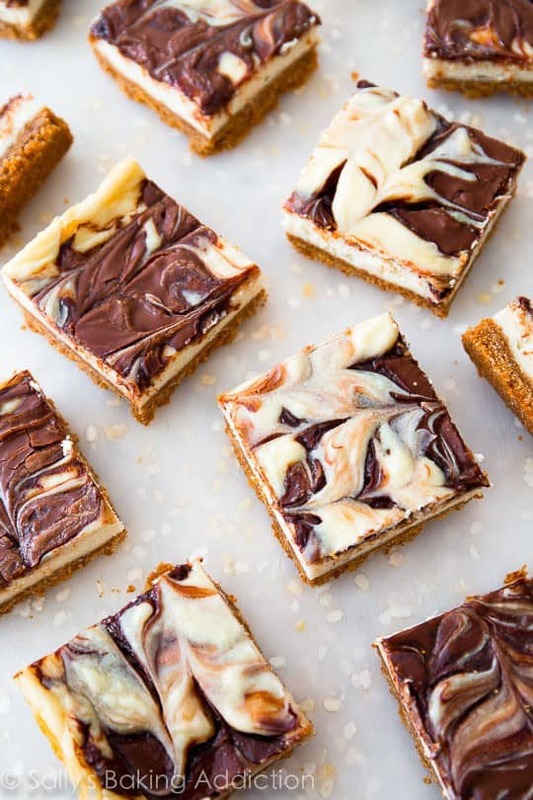 Creamy cheesecake bars on a simple graham cracker crust with a thick Nutella swirl. 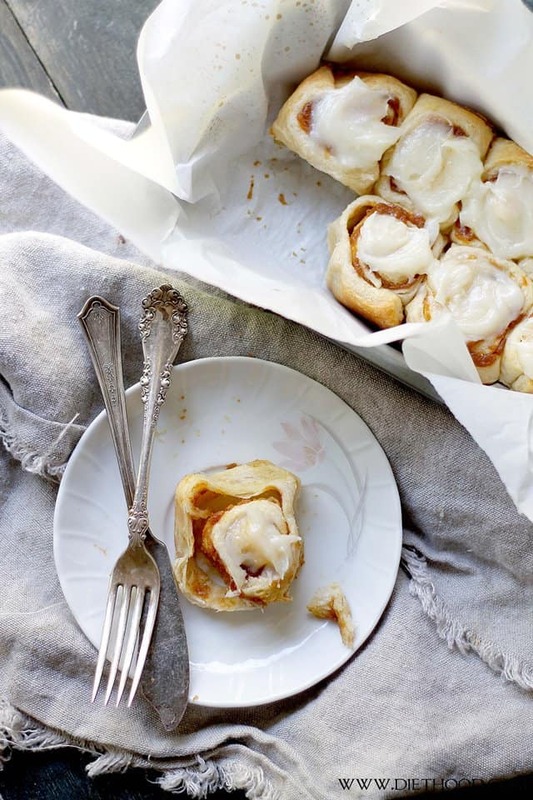 We hope you’ve found a winner in our list of most popular crowd-pleasing recipes! 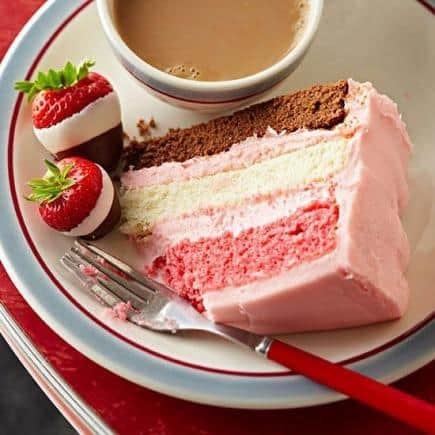 If you’d like to make things even easier, live the dream and channel your inner candy confectioner to make your own chocolatey sweet treats with our Candy and Chocolate Making Kit. 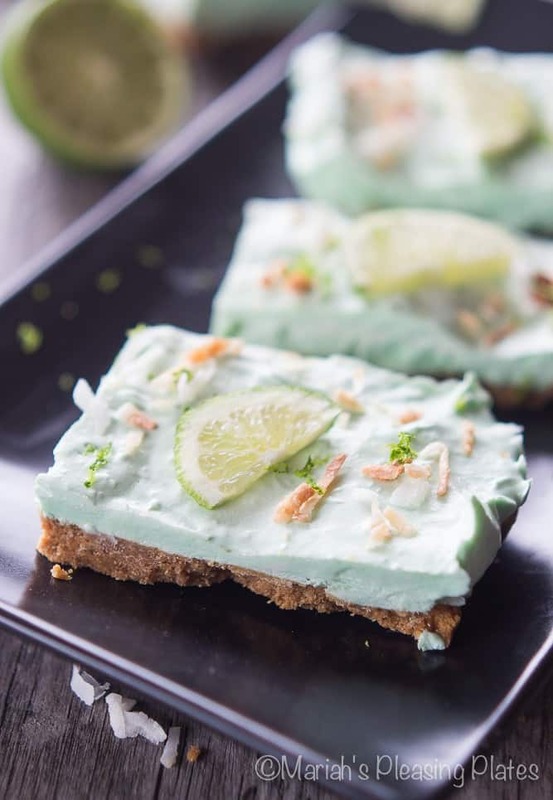 This kit makes a great assortment of homemade Marshmallows, Gummy Bears, Licorice, Peppermint Cups, Peanut Butter Cups, and 5 kinds of Truffles (Vanilla, Peppermint, Cocoa, Coconut, and Sea Salt). 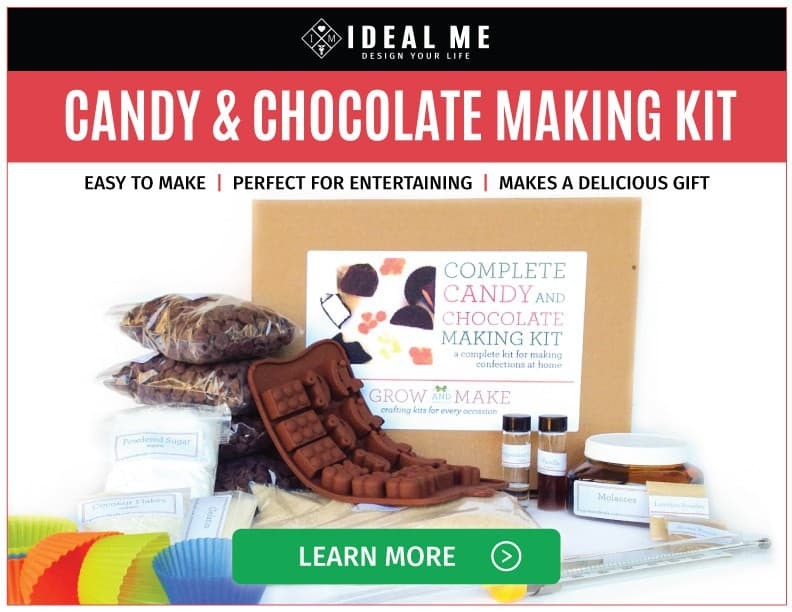 Check out the Candy and Chocolate Making Kit here.